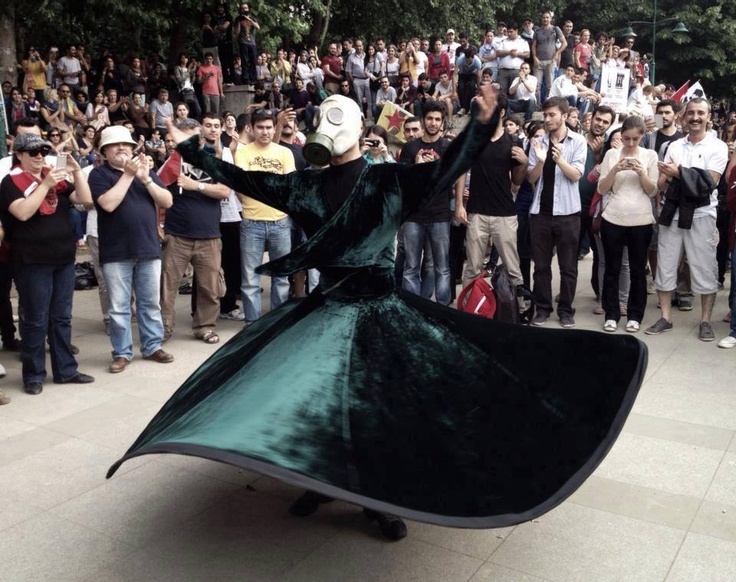 Taksim is everywhere – everywhere is resistance! “Her yer Taksim – her yer direniş” has been one of the main slogans chanted by Turkish protesters over the past weeks, literally meaning “everywhere is Taksim – everywhere is resistance.” It underlines how what’s happening in Turkey is not an isolated event, but part of a global movement, towards true democracy – without an invisible hand pulling the strings of political leaders and forcefully shaping history to benefit the very few who own the resources, control the banking sector and profit from never ending wars. 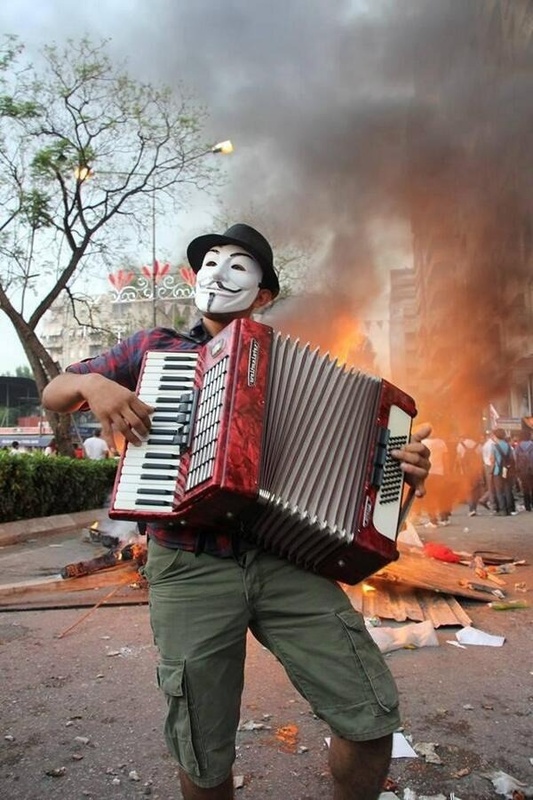 Just as the police violence has been apalling, the courage and creativity of the protesters has been highly inspiring. 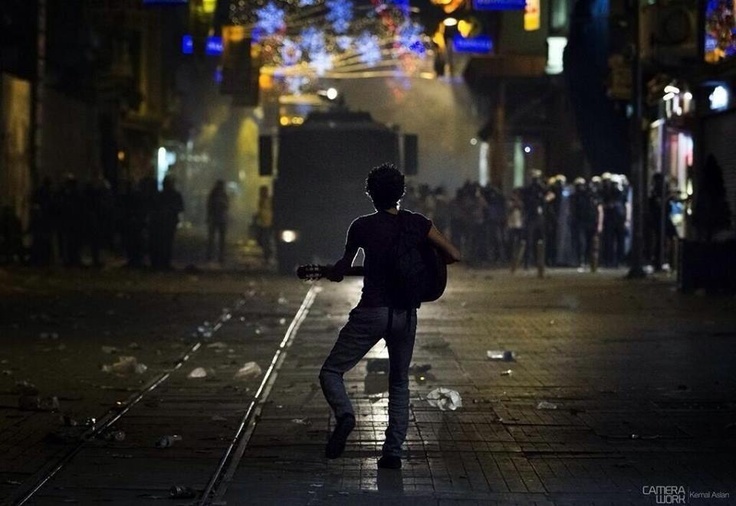 Below are a selection of fascinating of pictures from the Turkish uprising. But protesters would not let the police terrorize them into obedience any more. By now they were determined to resist at any cost. 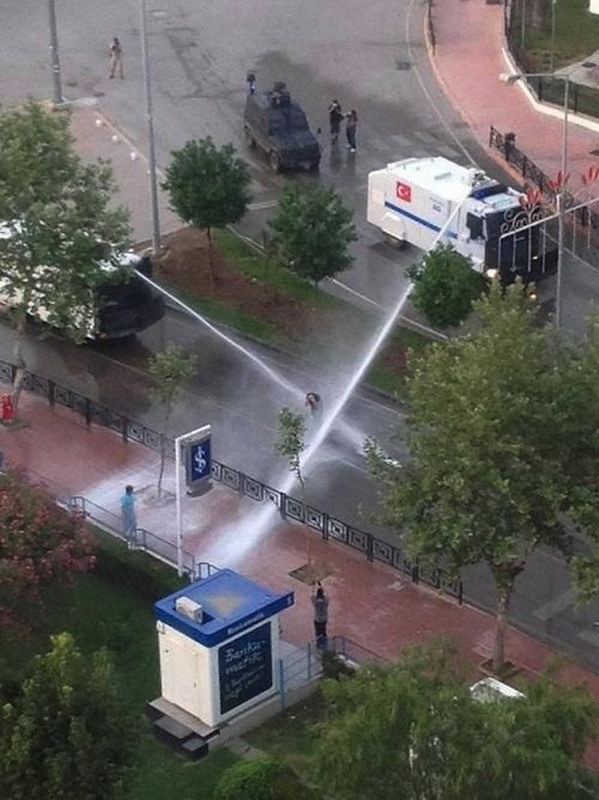 The exessive use of force was unusual, even in Turkish standards. 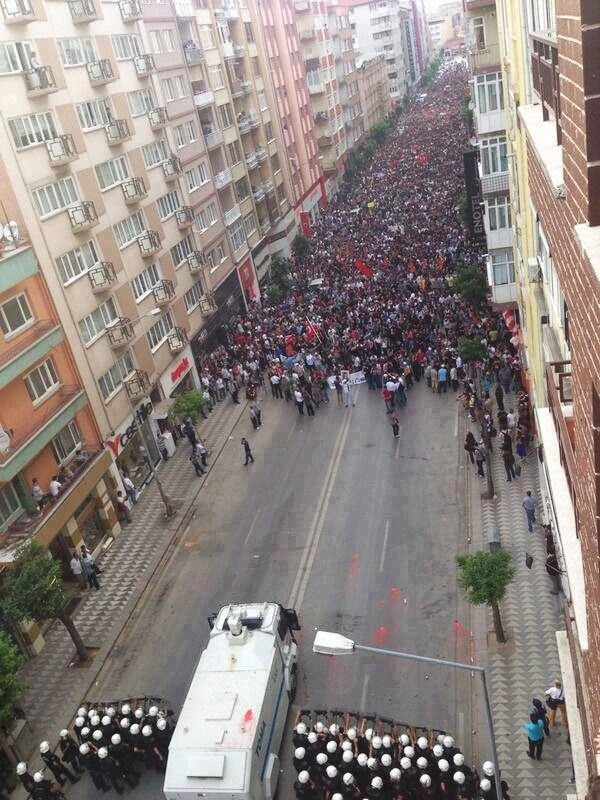 The protests spread to most major cities in Turkey. 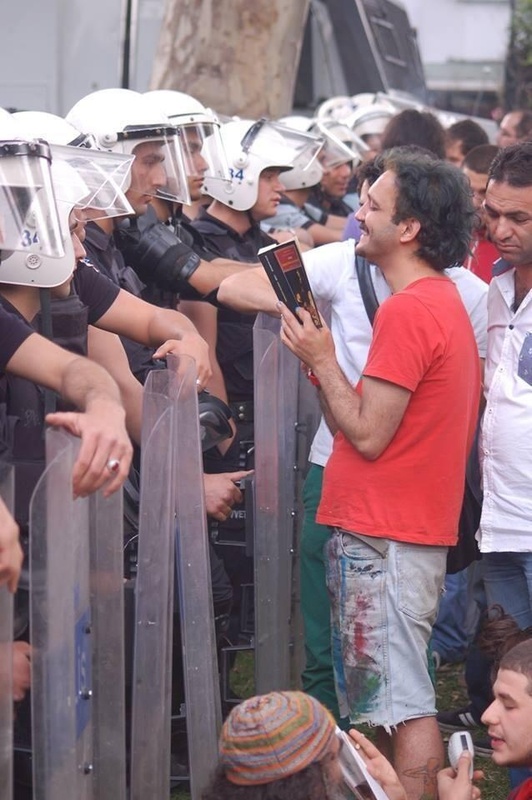 This picture is from Eskisehir. People from all segments of Turkish society are taking part. 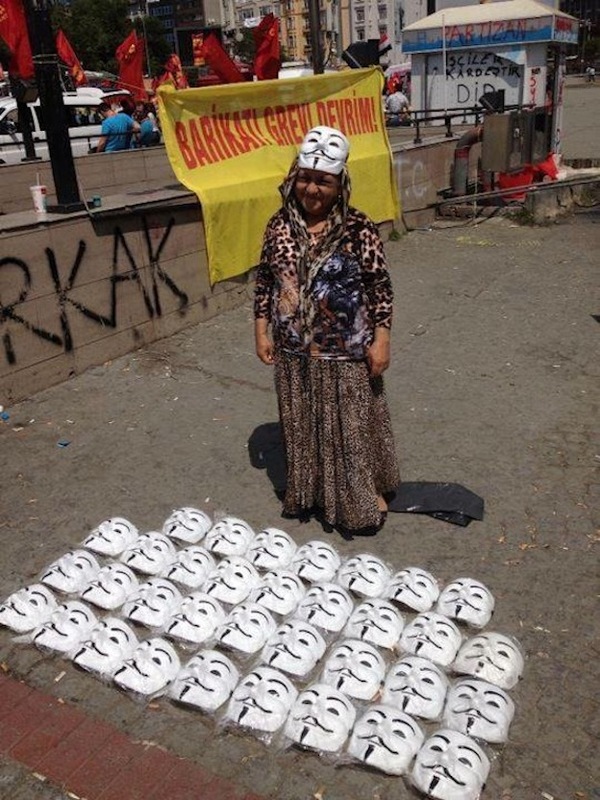 Gypsy girl selling vendetta masks. 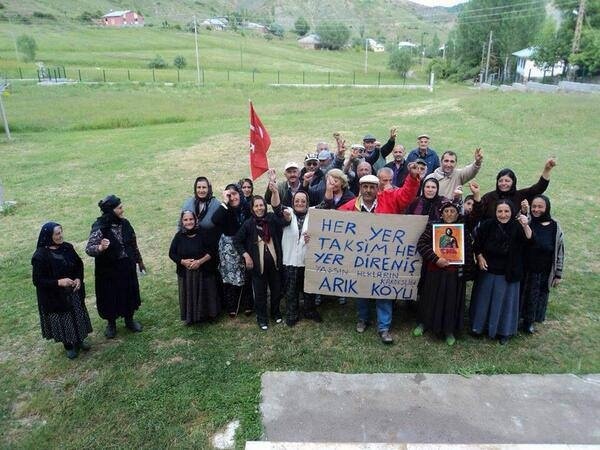 Messages of solidarity coming from far and near, here from Arı Köyu, a small village in the north of Turkey. 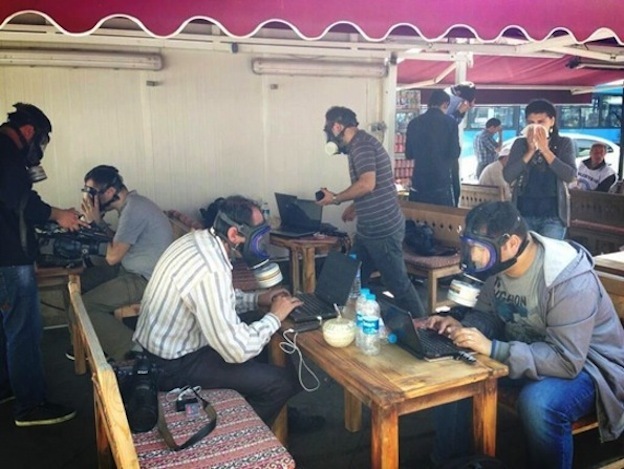 Journalists at work close to Taksim Square.